Photo Mode is one of the big trends in gaming lately, with big, AAA games with big, AAA visual fidelity using photo modes to really show off what video games can look like now. From God of War to even the likes of Super Mario Odyssey, nothing beats pausing, mucking around with the camera, applying a filter or some stickers and sharing the results online and with your friends. 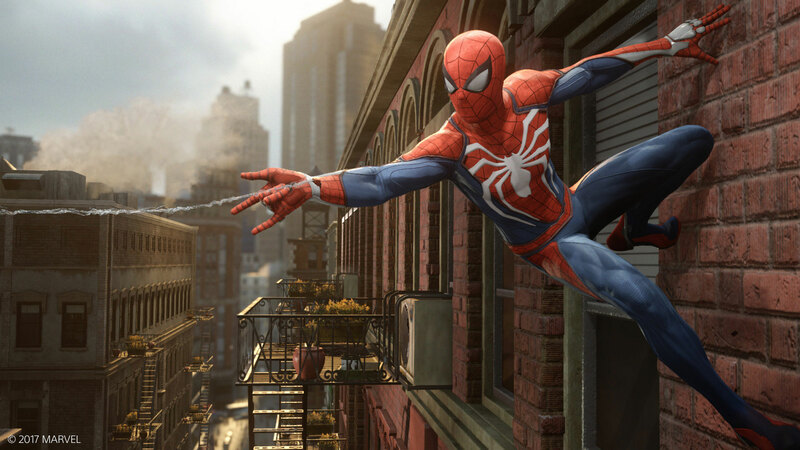 Marvel’s Spider-Man is certainly jumping on this trend, as Insomniac Games confirmed today with a new trailer. As reported before, Marvel’s Spider-Man will have a day one update that adds a few things, such as accessibility options. But it also adds photo mode, and as we can see from the trailer it’s a heck of a photo mode. As you can see in the trailer, there’s a lot more going on here than just camera manipulation and filters, although those things are totally a part of the deal. There’s a ton of options, including changing the type of camera, adding various borders, stickers, and even manipulating Spidey’s goofy, comic book “‘somehow the mask has facial expressions” thing. One of the coolest parts sees the player straight-up making a The Amazing Spider-Man comic book cover, which is sitting on a desk (presumably Peter Parker’s) that has some crumpled up papers and a pair of headphones resting on it.